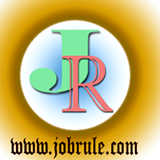 Jobrule.com is one of largest job portal on internet. The site specifically provides all Latest Jobs/recruitment information, Private/Public jobs news, Latest result, admit card/download notice, College/University Admission Process, State-Sector wise Jobs news and many more. The Website contains many pages, levels and post. To make user friendly , we provide full details of Pages- Levels and posts below.